Deportivo Municipal host fellow playoff chasers Melgar in their eighth fixture of the “Clausura” phase of the Copa Movistar (Peruvian Primera Division) this Saturday. Our free betting tips suggest that both teams will score in this match. Deportivo Municipal stand mid-table at the midway point of the “Clausura” phase of the Peruvian Primera Division. Municipal have taken just 1 point from their last 3 matches, ableit 2 of these were difficult fixtures away to Universitario and away to league leaders Sporting Huancayo, and have this huge “six pointer” against fellow playoff (top 4) pushing side Melgar, who stand just 1 point above Municipal and 4th place in the overall league standings. Melgar had a difficult start to the Clausura phase, playing 3 of the strongest teams in the league (Sporting Cristal, Sport Huancayo and Universitario) over their opening 7 fixtures. Melgar managed a 1-0 win in an unconvincing performance against bottom of the table Universitario last time out, though they were without their top goalscorer and a core midfielder. Regardless, these 3 points have kept them in the playoff runnings as they pushed themselves back into 4th in both the Clausura and overall table. Deportivo Municipal are in solid form at home at the Estadio Municipal. Municipal are unbeaten at home since February, having taken 20 from a possible 24 points over their last 8 home games (W6 D2). Typically these have been low scoring matches, with 4 of theit last 5 home matches being under 2.5 goals scored. Melgar, however, are not a team who put 10 men behind the ball attempting to take away a point in a low scoring win or draw. Melgar have scored at least 1 in each of their last 5 away matches AND have scored 2 or more in 3 of their last 5 on the road. Also, with the return of their top goalscorer Bernardo Cuesta (9 goals in 20 appearances) from suspension, Melgar should continue their form by scoring at least 1 here. Home advantage plays a very strong influence in the Peruvian Primera Division due to the varying climates and altitudes throughout Peru, and while Melgar have the 4th best away record in the league (W4 D3 L4), trends indicate that a team with a solid home record often outperforms such sides. Combining the analysis above with the statistics below, we expect both teams to score at 5/6 with bet365 to be the safe bet and Deportivo Municipal to win 2-1 at 17/2 with bet365 to be a top value correct score bet. 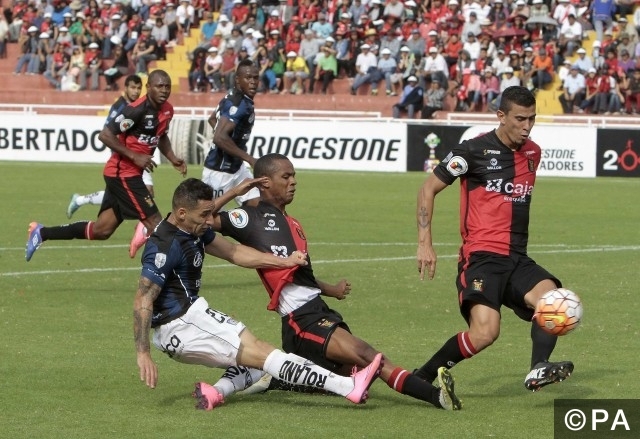 Melgar drew 1-1 at home to Deportivo Municipal in the Apertura fixture from earlier in 2016. Deportivo Municipal were the last team to take a win away from a fixture between the two sides back in March 2015, with the last 3 consecutive meetings ending in a draw (two 1-1s and one 0-0). Deportivo Municipal expect to remain unchanged with Argentinian M. Velasco starting alone up front (8 goals in 20 appearances) in the same 4-5-1 lineup as previous weeks. Melgar will be happy to have top goalscorer Bernardo Cuesta (9 goals in 20 appearances) and midfielder Dhawlin Luedo (3 goals in 14 appearances) back from suspension after they both missed last week's 1-0 win at home to Universidad San Martin. Melgar have scored at least one goal in each of their last 5 away matches and Deportivo Municipal have scored at least one goal in 4 of their last 5 home matches. 4 of Municipal’s last 5 home matches ended with under 2.5 goals whereas 4 of Melgar’s last 5 away matches ended with over 2.5 goals scored.